The U.S. Environmental Protection Agency reports that there are more than 100,000 landfills in the country. There has never been a better time for municipalities to develop solar photovoltaic (PV) systems for landfill sites. Electricity produced by these systems can save money and, in many cases, generate new revenues. Electricity produced on a landfill site can help municipalities provide a hedge against volatile energy prices. Various state and federal policies are available to improve the economics of installing and owning large-scale solar PV arrays. 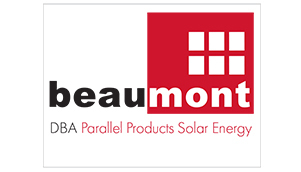 Beaumont Solar is fully experienced in all state and federal environmental and permitting regulations that accompany solar landfill development. We spearhead the process from the inception, remove the complexity and assess whether a landfill PV array is feasible for you. We will determine the best technologies suited for the grade of the land, consult with you on the first steps to take and provide end-to-end solutions should you decide this is the right option for your community.